Here at Rhopoint Components we offer a range of highly accurate, through-hole and surface-mount thermosensitive resistors from Alpha Electronics. These ultra-precision resistors utilise metal foil technology to achieve resistivity values changing linearly (or almost linearly) as the temperature changes, which makes them a perfect choice for use in cold junction references for thermocouples, temperature compensation and temperature sensing applications. The Alpha thermosensitive resistors are generally available in any resistance value within a given range and with a choice of different tolerances, while the most popular values are available from stock for quick delivery. Please browse our range below. Can't find what you're looking for? Contact our technical sales team for technical advice, to discuss a customised option or request a sample. The CLA ultra-precision thermosensitive resistor series from Alpha Electronics offers a highly accurate device that has a resistivity which varies linearly with temperature change in a through-hole package. By utilising Alpha's Bulk Metal® foil resistor technology, they are able to produce these resistors that are ideally designed for temperature detection, providing a small size and rapid response. These Alpha CLA ultra-precision thermosensitive resistors are made of material only a few µm thick and respond rapidly to temperature changes. Strict control of foil composition maintains uniform quality without fluctuation of temperature characteristics of resistance. They are produced by the same fine photo-etching technology used in other metal foil precision resistors from Alpha. The CLA series has a pin pitch of 2.54 ±0.25mm. The CLB ultra-precision thermosensitive resistor series from Alpha Electronics offers a highly accurate device that has a resistivity which varies linearly with temperature change in a through-hole package. By utilising Alpha's Bulk Metal® foil resistor technology, they are able to produce these resistors that are ideally designed for temperature detection, providing a small size and rapid response. These Alpha CLB ultra-precision thermosensitive resistors are made of material only a few µm thick and respond rapidly to temperature changes. Strict control of foil composition maintains uniform quality without fluctuation of temperature characteristics of resistance. They are produced by the same fine photo-etching technology used in other metal foil precision resistors from Alpha. 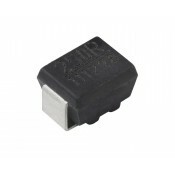 The CLB series has a pin pitch of 2.54 ±0.25mm. The KLC ultra-precision thermosensitive resistor series from Alpha Electronics offers a highly accurate device that has a resistivity which varies linearly with temperature change in a through-hole package. By utilising Alpha's Bulk Metal® foil resistor technology, they are able to produce these resistors that are ideally designed for temperature detection, providing a small size and rapid response. The temperature characteristics for the KLC series can be freely adjusted, please see the datasheet under the Technical Library tab or the TCR against resistance values available graph below for further details. These Alpha KLC ultra-precision thermosensitive resistors are made of material only a few µm thick and responds rapidly to temperature changes. Strict control of foil composition maintains uniform quality without fluctuation of temperature characteristics of resistance. They are produced by the same fine photo-etching technology used in other metal foil precision resistors from Alpha. The KLC series has a pin pitch of 7.62 ±0.25mm. 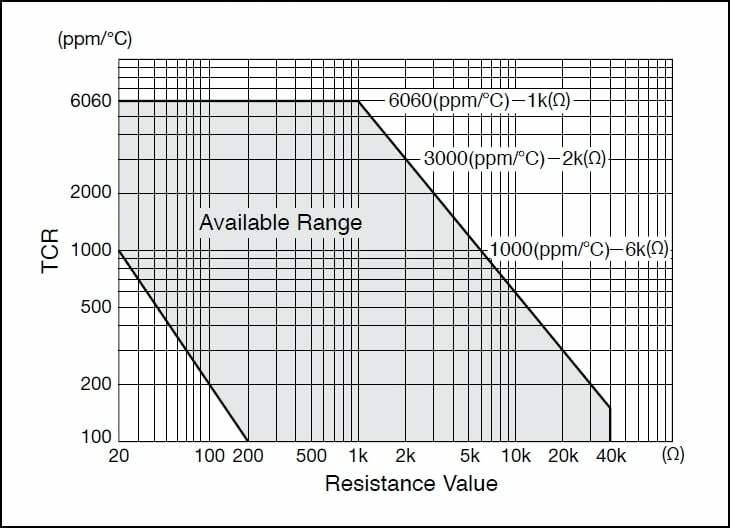 The below graph represents possible TCR values against resistance values available for the KLC thermosensitive resistor series. Please see the datasheet under the Technical Library tab for the full specifications for the KLC series. Graph showing possible TCR options against resistance values available in the KLC series. The NLA ultra-precision thermosensitive resistor series from Alpha Electronics offers a highly accurate device that has a resistivity which varies linearly with temperature change in a through-hole package. By utilising Alpha's Bulk Metal® foil resistor technology, they are able to produce these resistors that are ideally designed for temperature detection, providing a small size and rapid response. These Alpha NLA ultra-precision thermosensitive resistors are made of material only a few µm thick and respond rapidly to temperature changes. Strict control of foil composition maintains uniform quality without fluctuation of temperature characteristics of resistance. They are produced by the same fine photo-etching technology used in other metal foil precision resistors from Alpha. The NLA series has a pin pitch of 2.54 ±0.25mm. The NLB ultra-precision thermosensitive resistor series from Alpha Electronics offers a highly accurate device that has a resistivity which varies linearly with temperature change in a through-hole package. By utilising Alpha's Bulk Metal® foil resistor technology, they are able to produce these resistors that are ideally designed for temperature detection, providing a small size and rapid response. These Alpha NLB ultra-precision thermosensitive resistors are made of material only a few µm thick and respond rapidly to temperature changes. Strict control of foil composition maintains uniform quality without fluctuation of temperature characteristics of resistance. 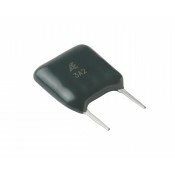 They are produced by the same fine photo-etching technology used in other metal foil precision resistors from Alpha. The NLB series has a pin pitch of 2.54 ±0.25mm. The NMP ultra-precision thermosensitive resistor series from Alpha Electronics offers a highly accurate device that has a resistivity which varies linearly with temperature change in a surface mount package. By utilising Alpha's Bulk Metal® foil resistor technology, they are able to produce these resistors that are ideally designed for temperature detection, providing a small size and rapid response. These Alpha NMP ultra-precision thermosensitive resistors are made of material only a few µm thick and respond rapidly to temperature changes. Strict control of foil composition maintains uniform quality without fluctuation of temperature characteristics of resistance. They are produced by the same fine photo-etching technology used in other metal foil precision resistors from Alpha. The NMQ ultra-precision thermosensitive resistor series from Alpha Electronics offers a highly accurate device that has a resistivity which varies linearly with temperature change in a surface-mount package. By utilising Alpha's Bulk Metal® foil resistor technology, they are able to produce these resistors that are ideally designed for temperature detection, providing a small size and rapid response. These Alpha NMQ ultra-precision thermosensitive resistors are made of material only a few µm thick and respond rapidly to temperature changes. Strict control of foil composition maintains uniform quality without fluctuation of temperature characteristics of resistance. 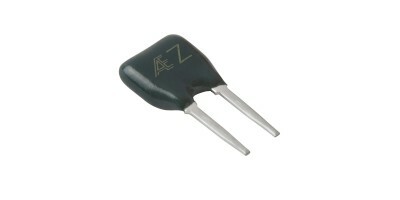 They are produced by the same fine photo-etching technology used in other metal foil precision resistors from Alpha.